It seems like us Brits are a practical lot when it comes to our holiday wishlists. According to a new study from Oral-B (yes the toothbrush people) into Christmas spending, almost 90% of us will be looking to give and receive practical presents this Christmas. 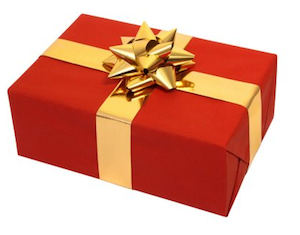 In fact 8 out 10 people would rather give someone a present which they knew was needed, with another 83% prepared to spend more on the gift if this was the case. I wonder if I can convince someone I really need a new record player for Christmas?? Would you prefer something more practical for Christmas or do you prefer to receive gifts you wouldn’t buy for yourself?